Back in December 2014 several Nokia Lumia devices got the ability to record 4k video with the Denim update – the one that also brought Cortana. While true 4K means 4096 x 2160 pixels, what most smartphone makers mean when they say their devices can record 4K video is that they can shoot UHD (3840 x 2160 pixels) videos. The same is true for Lumia’s manufacturer Nokia. 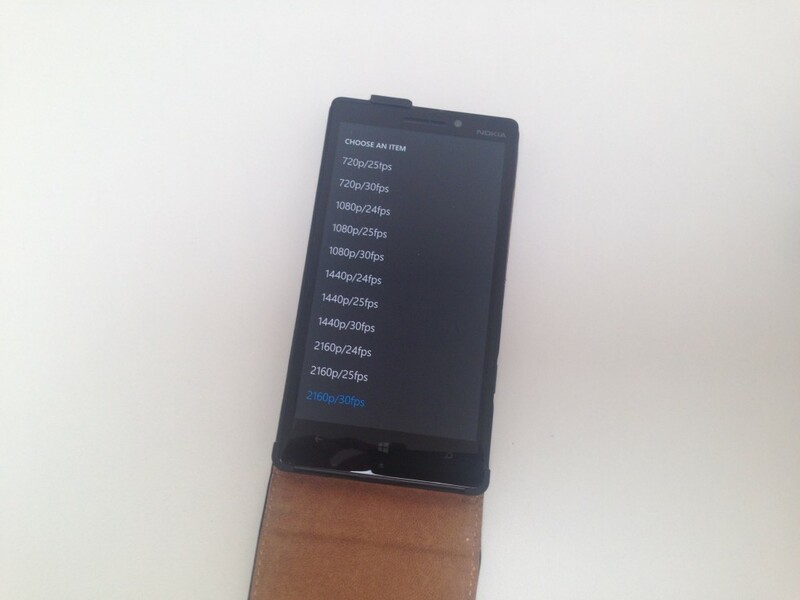 Our Lumia 930 device can record UHD video at 24 or 30 fps using the Lumia Camera app. So, using a Lumia 930 device and Pipe – the cloud video recording tool we’re working on – we’ve set out to test the 4k video recording capability over the web. 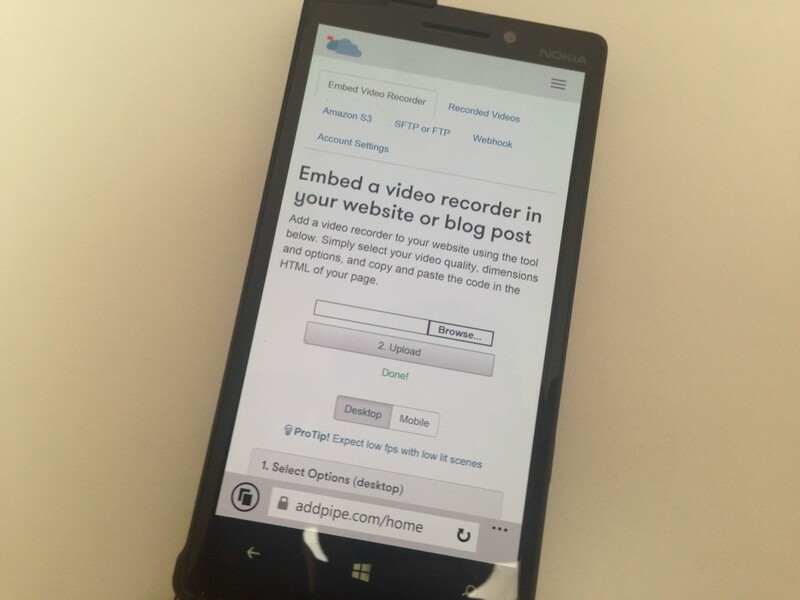 We’ve set up a Pipe demo page with a video recorder on it and accessed it using Lumia’s Internet Explorer browser. Pipe uses HTML Media Capture on mobile which presents the user with a HTML like form that when clicked prompts the user to record a new video or select an existing one. The HTML Media Capture UI did not let us record UHD (3840×2160) video on the spot, the only options being 720p and 1080p. But the HTML Media Capture UI does allow us to select a video from the phone’s library. 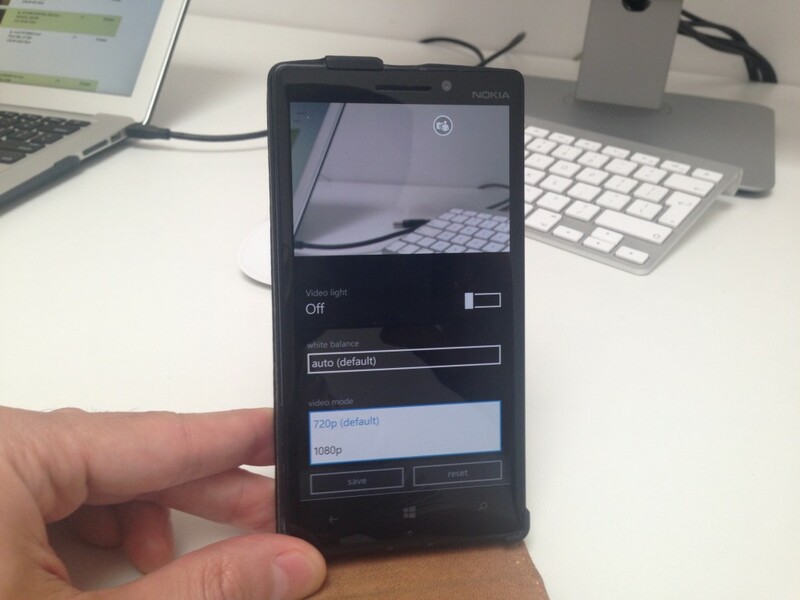 So we exited IE, entered the Lumia Camera app, selected 2160p as the video resolution, and recorded a 12 second video. The video was was 78MBytes in size and had a resolution of 3840×2160. It’s bitrate was a staggering 52 Mb/s. No problems for Pipe though. We recorded several longer and shorter videos and the bitrate in each case was around 52-54Mbits/s. Compare that with the 9Mb/s we got when recording 720p video using the same device.